“Jewelry with a Conscience” is what Catherine Cottingham of Catherine Nicole Designs coins her uniquely sophisticated handmade jewelry line. Not only are Cottingham’s semi-precious pieces environmentally friendly by averting the use of non-renewable resources, but they also promote philanthropy with five dollars of each purchase going towards a charity that prevents the rise of child brides in developing countries. A traveling aficionada with a keen eye for design, Cottingham says she has been influenced by art since she was a child. Not until her adult life did she make the decision to pursue art as her career. Her opportunity to have lived abroad in Spain helped cultivate Cottingham’s well-rounded style that is now seen through her ethnic pieces. “When I was about 20 and living in Spain I was watching some music videos and I was really interested in how the costume design in the videos was able to tell so much about the story,” Cottingham said. Costume design is what sparked Cottingham’s decision to move back to the states and enroll in the highly esteemed fashion program of Parson’s The New School for Design in New York, N.Y. Unfortunately, costume design was not part of the Parson’s curriculum at the time and she decided on the fashion design program. 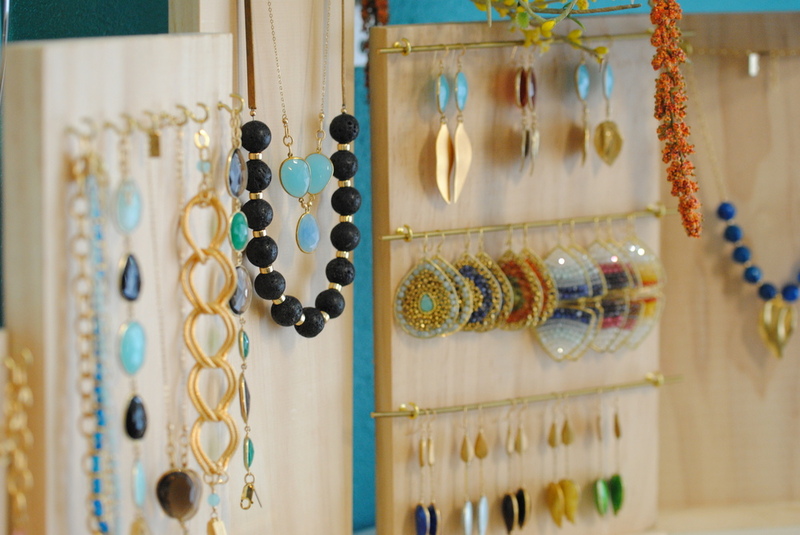 Taking a look at the Catherine Nicole Designs website clearly proves Cottingham’s passion for jewelry design. From delicate and romantic bridal designs to vibrant statement pieces, Cottingham’s designs deliver to a wide range of customers. Her pieces are unique, yet tasteful and Cottingham says they encompass a variety of influences. About a year and a half ago, Cottingham made an everlasting change by deciding to attach a philanthropic aspect to her brand. Something she mentions as always being a bit of a struggle for her as part of the fashion industry; the element of altruism was something her business was missing, says Cottingham. And so Chicks Against Child Brides was created, Cottingham’s very own philanthropy that donates five dollars of every purchase to BRAC, a United States funded charity that helps alleviate poverty by empowering the poor. One of BRAC’s main focuses is empowering young women by teaching them to become entrepreneurs, thereby reducing the chances of them becoming child brides. Because everyone that works for the Catherine Nicole brand is a woman, the name Chicks Against Child Brides fit perfectly. By promoting entrepreneurship among impoverished girls in the developing world, BRAC and Chicks Against Child Brides are helping to reduce the number of young women who become victims to child marriages. 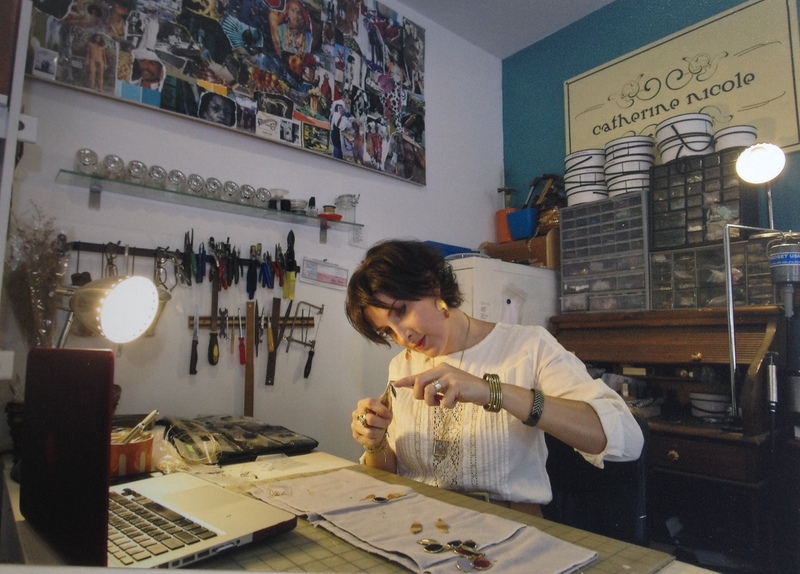 Cottingham’s grassroots approach to a global issue, along with her appealing designs, is what truly sets her business apart from other handmade jewelry designers. Cottingham says that another part of her brand that she takes pride in is the close relationship she is able to build with customers despite not having a chain of stores or boutiques. When she saw her business growing toward the direction of having to expand, Cottingham made the decision to take a step back and keep Catherine Nicole Designs an intimate brand. Keeping in good contact with her customers is something important to Cottingham and the integrity of her business. She says that she frequently receives wedding photos from her customers of her bridal collection and thank you notes from everyday customers who are pleased with the product. 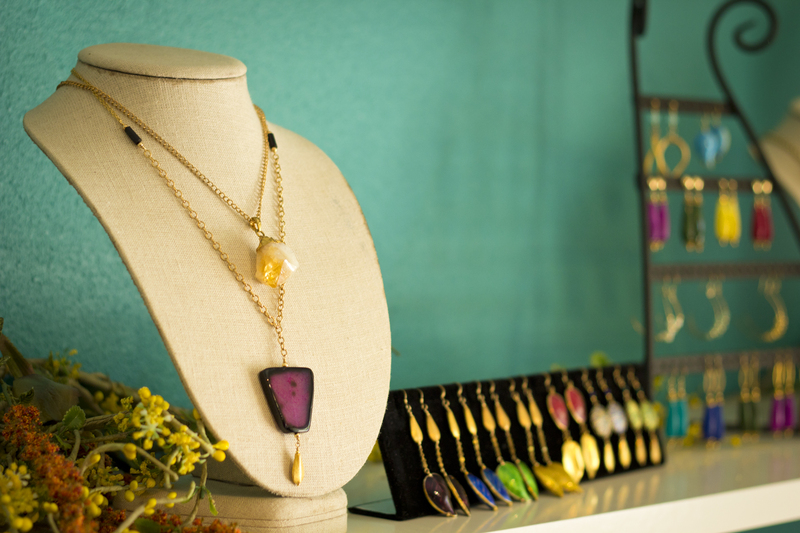 Catherine Nicole Designs is currently based out of Cottingham’s South Austin studio, where most of her rare and cultural pieces are hand crafted. Visit Catherine Nicole online at catherinenicole.com and relish in the one-of-a-kind designs.